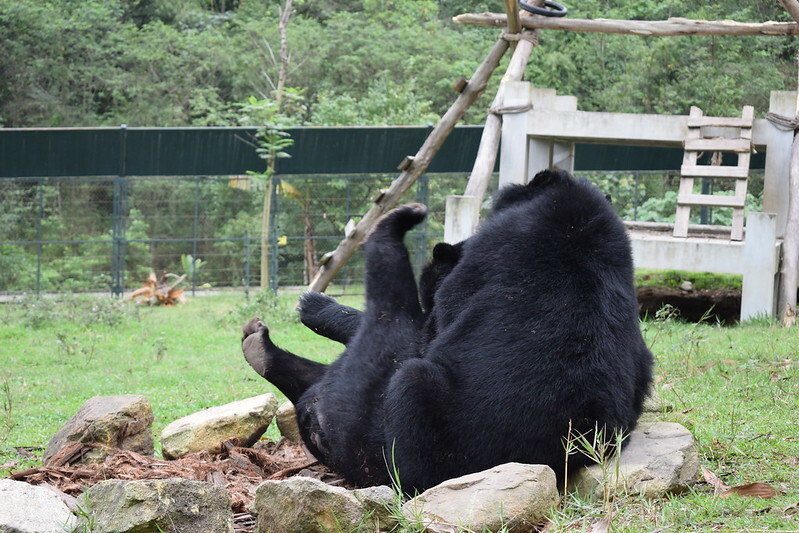 Rescued from a bile farm, moon bear Tuffy’s happy splashing video went viral and made the world smile but that was just part of his journey. Just over a year ago something incredible happened when Animals Asia shared footage of rescued bear Tuffy’s first dip in the pool. Poor Tuffy had spent the previous decade in his cage, suffering repeated bile extractions for use in traditional medicine. He had been rescued months earlier and he was finally ready to step outside. His carers caught the moment of glee at discovering the pool. He slapped the water, splashed himself, jumped up and down before finally succumbing to slipping under the water as he let it wash away his pain. His joy struck a chord around the world. On Mashable alone his excitement was enjoyed 11 million times while his story was reported across the world’s media. 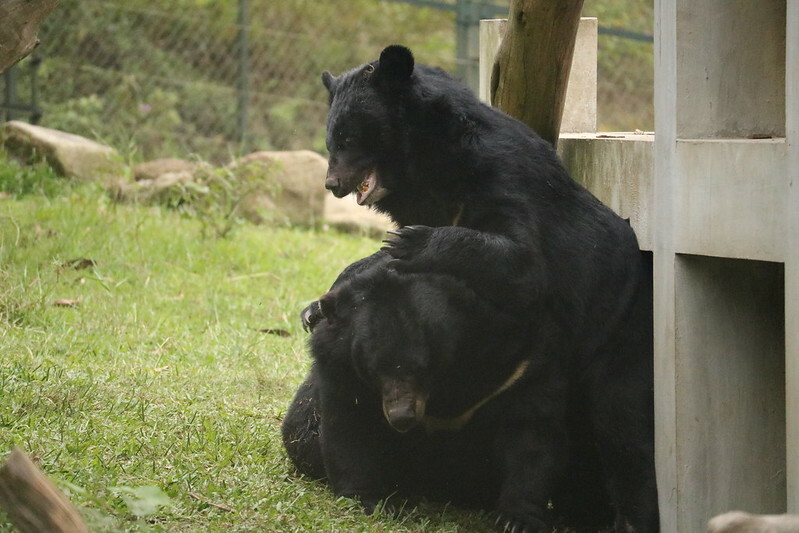 His story even saw Google searches for bear bile farm surge across the world as people sought to understand what he had been through. But that was just a small part of Tuffy’s overall journey. Up to that point moon bear Tuffy had endured an awful life, having suffered for at least a decade on a bear bile farm which left his body utterly broken. When rescued by Animals Asia, he was painfully skinny with very little muscle, three of his canine teeth were agonisingly fractured and his gall bladder was riddled with gallstones – a direct result of repeated bile extraction. Once back at Animals Asia’s sanctuary, surgery was required to end the excruciating pain in his mouth and remove his ravaged gall bladder, but with time Tuffy improved. His wounds healed, he ate rapaciously and put on weight and eventually he went outside for the first time since being so cruelly caged a decade before. Tuffy loved the outdoors so much that on a few occasions he refused to return to his den and stayed out there sleeping under the stars. But every bear is a complex individual, and Tuffy is no different. He has suffered so much, and that suffering can’t be erased overnight. Although with access to friends and sunshine, Tuffy’s life has become better and better every single day. 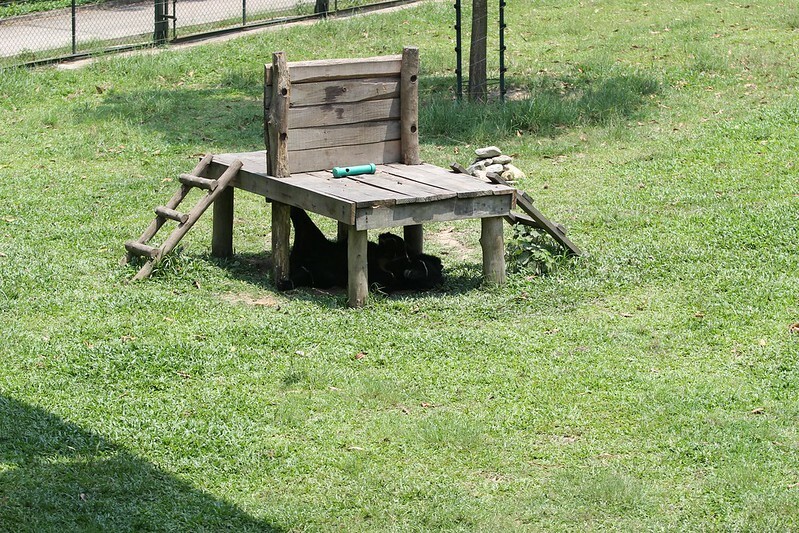 Now Tuffy lives with 15 other bears – 15 other individuals with their own personalities, likes and dislikes. All have their own traumatic histories too. Bringing these individuals together into one community was a long process but they are finally at the point where they trust and understand each other enough to make it work. During that process, Tuffy was often the life and soul. He grew in confidence and initiated play with his new mates – his fun, playful side helping new members to ease into the group. But at other times he wanted to be alone – and on a few occasions would sulk and even growl at his new friends. His past isn’t yet fully behind him. 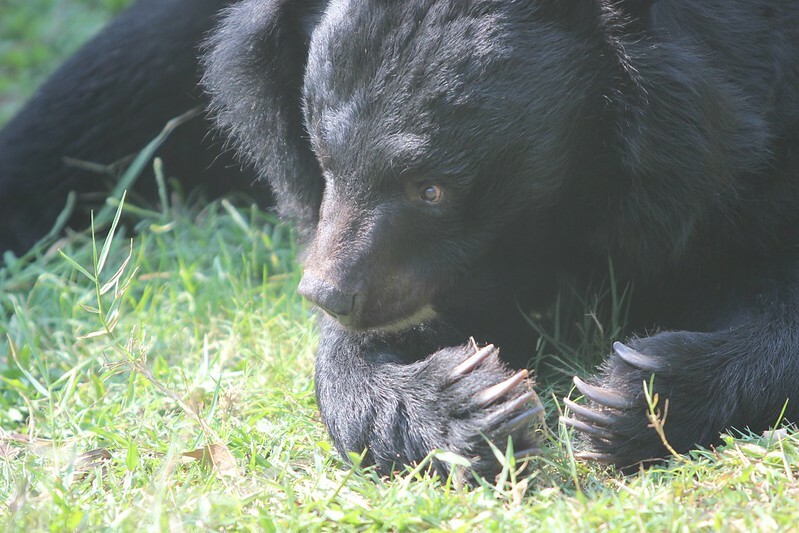 “We all adore Tuffy, he is such a playful bear that it is impossible not to fall in love with him. And when he’s having a good day, everybody wants to be his friend. When big Jarvis joined the group, Tuffy was right there to greet him, even though Jarvis is a full head taller than him. For now, the good days outweigh the bad and Tuffy is free to forage, swim and play with his new friends whenever he likes. And when he needs “me time”, well that’s ok too. Tuffy has all the time and space he needs to take life at his own pace. “For many years in that cage, Tuffy must have thought the world had forgotten him but there were always people out there who cared. Now, he’s home with us, and has no idea that his innocent happiness has been an inspiration.